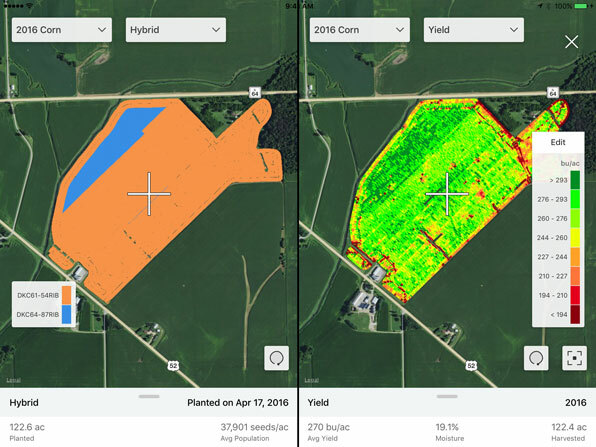 Compare side‑by‑side yield, planting, field health maps and more, to monitor crop performance and better understand field variability. 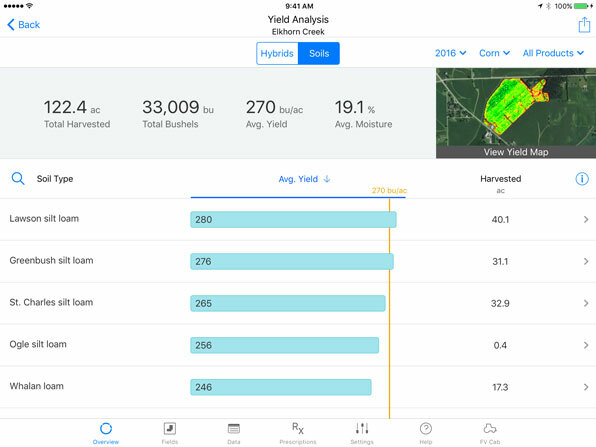 Easily analyze performance by hybrid, soil type, or field, so you can make the best decisions for next season. Export reports to print or share with your advisors. 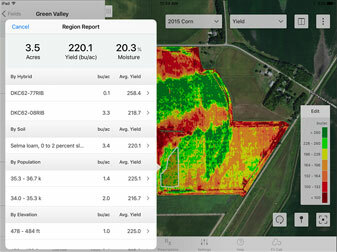 Circle a region on your field map to generate a crop performance report. Use this information to determine how different agronomic practices impact yield. 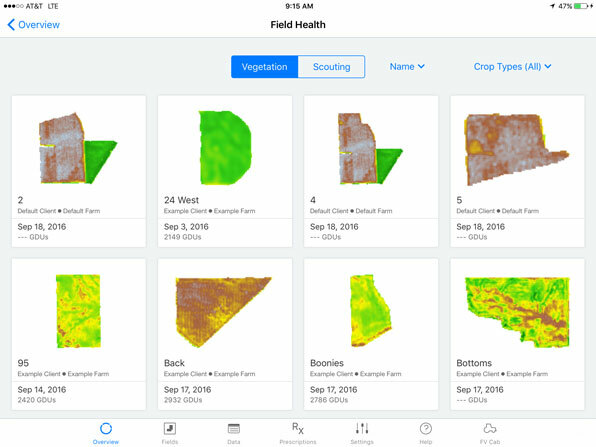 Find out what’s happening beyond the end rows with imagery that can help you identify issues early and prioritize scouting. 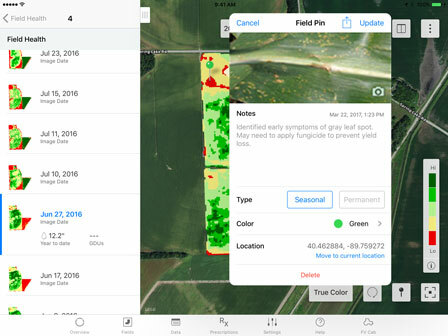 Climate FieldView™ uses a proprietary process to deliver consistent, high-quality satellite images so you can identify in-season challenges and take action to protect yield. Use vegetation maps that feature advanced color mapping to understand the level of crop growth across your operation and prioritize which fields to scout first. Use scouting maps to spot potential issues within a field and drop geo-located pins. Share with agronomic advisors to take action and save valuable time. 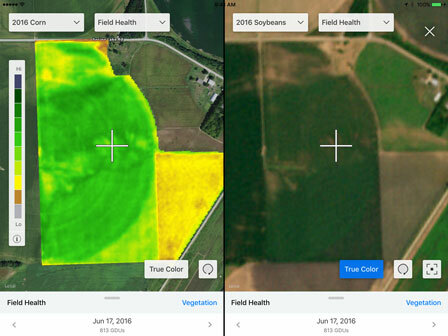 Use true color overlay to view a real-world image of your field. Compare it to vegetation and scouting maps to help identify clouds, ponding and other changes in your fields.